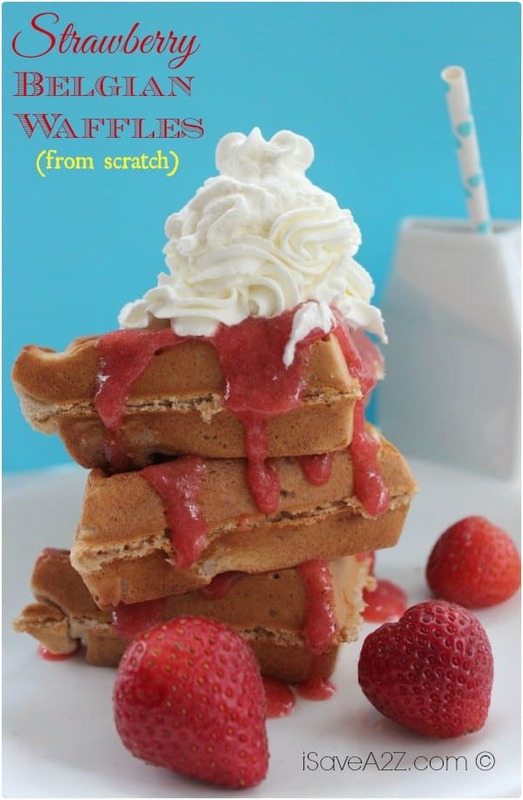 Check out how easy it is to make these Strawberry Belgian Waffles from Scratch! All you need is a good Belgian Waffle iron and a good recipe and you are ready to make an amazing breakfast idea! We sometimes have this as a dessert too! Just imagine sprinkling it with powdered sugar and maybe topping it with a scoop of your favorite ice cream! Oh yes! It’s pretty amazing! This Belgian Waffle iron has some of the best review ever but the price is not what I would like either. Now this Belgain Waffle Iron is only about a 1/4 of that price and decent reviews too! I love a good bargain! Be sure to check out our Valentine’s Day Breakfast Idea: Heart Shaped pancakes here. You don’t just have to make them for Valentine’s day either. Think Mother’s Day, Father’s day or maybe any day you want to make someone feel special! No kitchen appliance required! Oh, and they are super cute too! 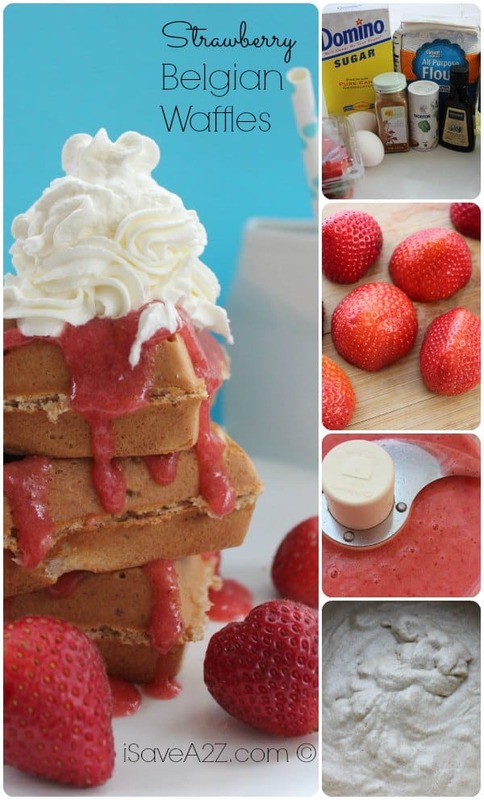 By Jennifer on January 2, 2019 Breads, Breakfast, Desserts, Recipes, Valentine's Day Ideas.